Are you an Advanced Nurse Practitioner looking for a new experience? How do you fancy being part of an exciting new service due to be provided at Plymouth Hospitals NHS Trust? 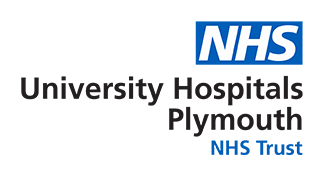 Plymouth Hospitals NHS Trust is the largest hospital in the South West Peninsula, providing comprehensive secondary and tertiary healthcare. Our geography gives us a secondary care catchment population of 450,000 with a wider peninsula population of almost 2,000,000 people who can access our specialist services. At Plymouth Hospitals Trust we strive to embed the principles, which underpin everything we do. Our principles are to put patients first, take ownership, respect others, be positive and to listen, learn and improve. As part of our system-wide programme to improve urgent care, we are developing an Acute Assessment Unit, which aims to provide an integrated whole system approach to urgent care. With our partners Livewell SW, we aim to integrate primary care streaming, ambulatory care as well as frailty pathways, to allow patients to be assessed and treated in a more timely way, thus reducing the demand on ED as well as admissions into the Trust. Working in an integrated way between services and teams, the Acute Assessment Unit will create a multi-disciplinary environment, including therapies and nursing teams within the Trust as well as the community. By working collaboratively with our partners in primary care and out-of-hours, we very much see that these posts will allow individuals the opportunity to rotate through the different organisations. The development of the Acute Assessment Unit will mean we are able to provide a platform for individuals to work across the system and develop new skills in primary and secondary care, enabling them to build a portfolio career as well as a varied CV. We have an exciting opportunity for five Advanced Nurse Practitioners to come and join our team of staff in our new Acute Assessment Unit, due to open imminently. These new roles are full time (37.5 hours a week) with potholders required to cover a flexible shift pattern. We are willing to be flexible for the right candidate so will consider part time working arrangements. As an Advanced Nurse Practitioner you will use your experience to work autonomously and flexibly, to guide care staff as appropriate, whilst also feeding into the wider multi-disciplinary team within the unit and with our partners. The launch of the Acute Assessment Unit and the changes in urgent care pathways means this is a really exciting time and this role will offer you a real opportunity to add value to the local community and broaden your experience. Individuals applying for these posts will be exposed to a new way of working across organisations, which we believe to be innovative and exciting and will also allow successful candidates to influence and help shape the working arrangements for these posts. For further information, please contact Natalie Howes on 01752 437478 or to apply for one of these positions, please click here. Or visit NHS Jobs and search for Job Reference: 216-LF-M1308.